The Easy Canvas Prints brand is a subsidiary of BuildASign.com, a custom printing company established in 2005. The company currently operates over 40 other websites. The overall goal of Easy Canvas Prints is simple. They aim to allow visitors to transfer some of their favorite photos to canvas with ease. 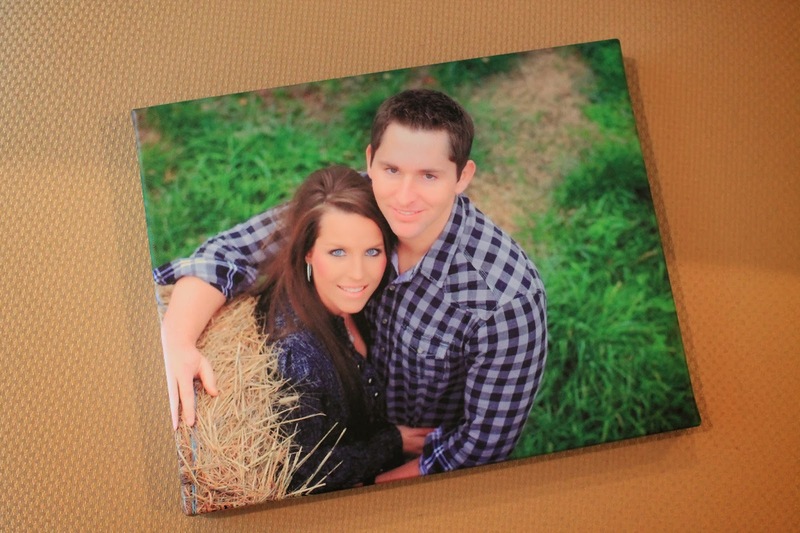 There are pre-made design options so people can customize their photographs to fit the style of their home perfectly. To make an order go to EasyCanvasPrints.com - here you can make savings by using one of our Easy Canvas Prints coupons, which we update whenever new offers and deals become available. The website first went online in 2009 and was founded by Dan Graham, who also founded the parent company and remains as CEO and Managing Director. Other founders included Ty Barho and Blake Borgeson. All properties are headquartered in Austin, Texas, United States. They also have offices in the UK, Germany, and Canada. You can print any kind of photos for any purpose you desire, though some of the common ideas they suggest include Weddings, Kids & Babies, Vacation shots, Landscape shots, Pets and more. All you have to do is click "Start Your Canvas" on the home page and you will then be able to upload your photos and choose your design, style and sizing options. As well as Canvas they also now print Photo Blankets, which literally means you can have your photos printed on to a soft blanket. Their editing suite is very easy to use, you can import photos from social media accounts like Instagram or just upload them from your PC or device. If there are any changes or retouches you want to make, this can be easily accomplished with their tools. You can also specify retouch options for staff to do professionally, which include Red Eye removal, Dust removal, Time & Date Stamp removal, and the removal of other imperfections and scratches. You can also pay extra for "major retouches" such as teeth whitening, mole and scar removal, wrinkle removal and much more. Sizes available range from 8x10 to 24x36. Depending on the size you can choose between a brass hanger or easy back, and there are also different border options as well. Here at Coupofy Coupons, we aim to help you save when you shop at EasyCanvasPrints.com. With a simple search of our website, you should find a list of Easy Canvas Prints coupons. Just click one of the live links to be taken right to the store where you can apply the code during checkout. Currently, the only methods of payment that Easy Canvas Prints accepts are common credit cards like Visa, Mastercard, and American Express. To redeem an Easy Canvas Prints coupon, simply paste the code in to the promo box prior to payment. 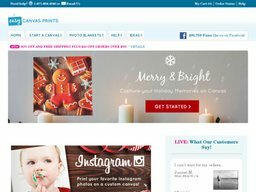 EasyCanvasPrints.com primarily use UPS as their shipping carrier within the United States. They will also ship items to many destinations in Canada if you call them ahead of time on 1-877-858-4586. Shipping on all orders are free and you can also choose a date that you need the order by. All items will usually be dispatched within 5 business days. The company has a refund policy that offers you the chance to return items within 90 days of purchase as long as it's because of a manufacturing defect. You will simply need to take a picture of the defect and send it to the company for them to make a determination about the damage. Easy Canvas Prints are not responsible for quality or design issues that stem from the original quality of the photo or your own design choices. @JoeyRolenToGo My apologies for the difficulties! I have sent you a direct message. @emilyrm My sincerest apologies! If you can send us your order number in a direct message we will be happy to assist you with this.